This entry was posted in Planning the menu and tagged pickles. Bookmark the permalink. I am not sure if you remember me, but I am Lora’s friend and coworker. I have thoroughly enjoyed following your blog and am so excited for you, your crops, your “chicks” and your hubby to be! 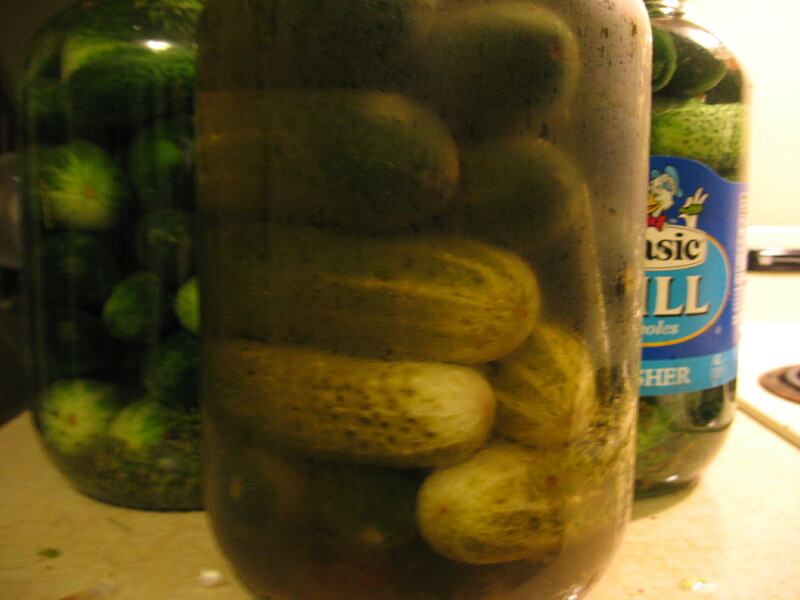 I am a local pickle fanatic and I would love to buy a gallon from you. You can email me directly so we can arrange for delivery, since I live in Portland.